Dadamachines’ Doppler development board was designed in collaboration with Sven Braun of zMors, which designs synths and other modulars for iOS. That notion alone makes the Doppler an exciting platform, as it was built as a platform for open music hardware, and packs a Microchip SAM D51 microcontroller and a Lattice iCE40 FPGA. Considering FPGAs can be easily adapted for use with almost any applications, it should come as no surprise they could be used for creating music. 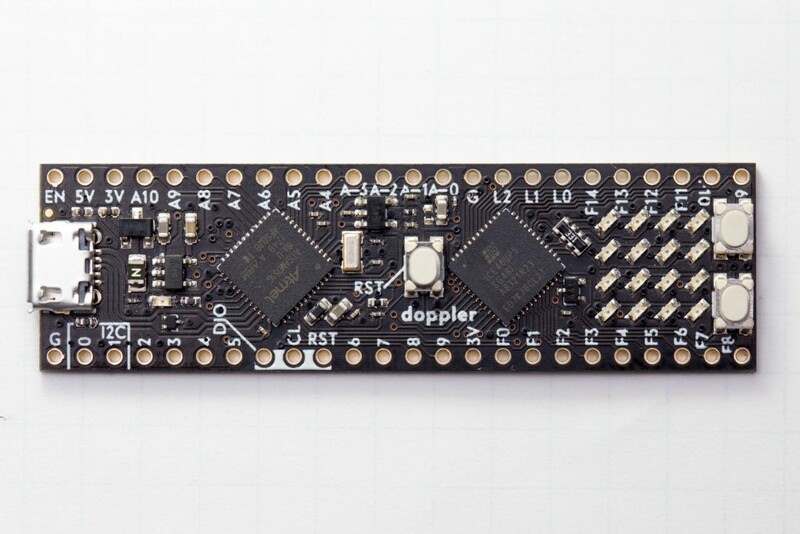 On the hardware end, the Doppler features an Arm Cortex-M4F (SAM D51), an FPGA 5000 LUT (1Mb RAM, 6 DSP cores, OSC, PLL), and is both Arduino IDE compatible and breadboard friendly. The board sports a micro USB port, 3.5V to 5.5V VCC, 4 X 4 LED matrix, 2X DAC pins, 10X ADC pins, and all GPIO have 3.3V logic level. It also offers a pair of user buttons, an AREF solder jumper, SWD program pin headers, and uses a UF2 bootloader with firmware uploaded via USB stick mode. It should be noted that the Doppler development board is still in Beta form, and although they’ve gone through three months of testing, there still a possibility it can cause bugs in different applications. The board is now available for $44 on Dadamachines’ product page, while schematics, software packages, and examples have been uploaded to GitHub for those looking to build their own Doppler. Dadamachines’ Doppler Development Board Packs Both a SAM D51 and iCE40 FPGA was originally published in Hackster Blog on Medium, where people are continuing the conversation by highlighting and responding to this story.